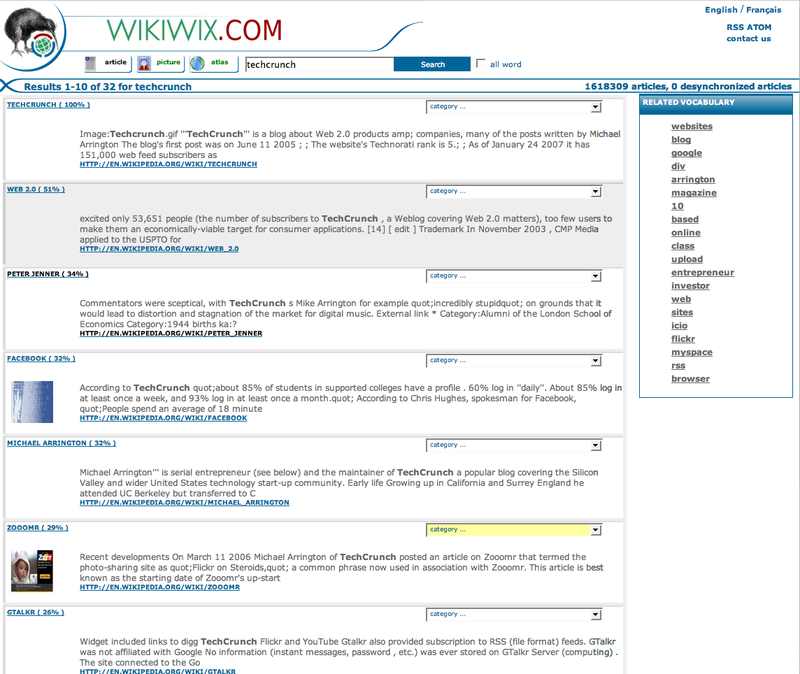 Like Wikiseek, a search engine unaffiliated wtih Wikipedia, Wikiwix searches only Wikipedia . The “contact us” link points to this page on Wikipedia, which is in French. A translated version of that page is here. The domain name is owned by Martin Pascal, a resident of France. The contact link above has information added as early as March 20, 2007. One of the questions on that page is “Who is behind Wikiwix, with which technology, which is the content of the bond with Wikipédia?”, which adds further confusion. Also, the fact that Wikiwix has been added to Wikipedia Search, something not offered to Wikiseek, suggests some sort of connection between the entities. I’ll update this post with more information as it comes it. I’ve emailed Jimmy Wales and await his response. Update: good additional information in the comments. Sounds like this is not affiliated with Wikipedia.